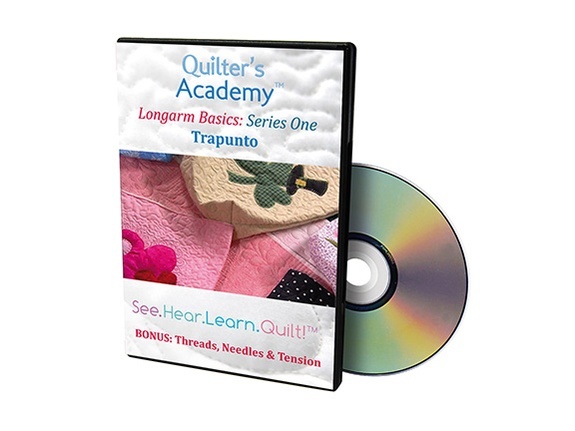 Learn how to applique and trapunto at the same time, prepare shapes and finish the quilt. Also covers Threads, Needles, and Tension. Applique and trapunto at the same time. Use your quilting machine to create four appliqué edge finishes: blanket-stitch, circular, stars, squiggles. Accentuate printed designs on fabric with trapunto.